Vincent Security | Do Aluminium Security Doors Keep your Home Secure? Do Aluminium Security Doors Keep your Home Secure? When it comes to security installations, a lot of people opt for heavy steel or iron designs. But there are more options out there. Aluminium is quickly becoming one of the most popular materials in security door manufacturing. It combines a number of features and properties to offer a high standard of strength and durability. These are the two primary building blocks of a good security door. But aluminium has more advantages still. With more lightweight build, aluminium security doors are versatile in appearance as well as function. They go well with a diverse range of home designs. So regardless of whether you have a modern home design or a more traditional décor, aluminium security doors fit right in. As far as security doors go, your options are not limited. Steel and aluminium security doors are both great options – it really depends on your specific position. If you are in doubt about which option to choose, ask an expert! Getting a security expert around to your home is the best way to make a decision. They will be able to assess the features of your home, work out your priorities, and then find a solution that balances the two. So don’t limit yourself, and remember – aluminium security doors work just as well as steel! If there is one thing that aluminium security doors prove, it is that strength comes from design. If you pick up an aluminium security door and a steel security door, you will immediately notice that aluminium is far lighter. As a metal, aluminium has a strength to weight ratio that far surpasses most other metals. This means that when designed correctly, aluminium security doors can provide unrivalled strength. The most important part of strengthening aluminium is welding it. By effectively welding the frame of an aluminium security door, you can ensure that none of the metal’s natural strength is lost during the manufacturing process. The best aluminium security doors then couple this with a strong screen. Generally, screens of around 7mm provide the best balance between strength and practicality. After all, you still want to capitalise on views and natural breezes! What is it That Makes Aluminium Security Doors Strong? If you ask someone what is stronger between aluminium and steel, most would say steel. This may be true in a general sense, but aluminium is not to be underestimated. Although steel is immensely strong, aluminium offers a number of other advantages, while also offering terrific strength. If you look at the combined benefits of aluminium, it is easy to see why it is often preferable to other metals. This is especially so in terms of security doors. When it comes to security doors, aluminium is more workable and often better looking. To expand on this, we have listed a few of aluminium’s most prominent qualities below. Strength is the cornerstone of good security and aluminium has plenty. Aluminium security doors have more than enough strength to withstand almost any attempt at entry. Well-designed aluminium security doors operate on a few basic principles. Experts of the security industry have derived these principles by looking at the different types of pressure to which a security door may be subjected. For example, a common method of forced entry is impact. Whether from a kick or a crowbar, impact is the first port of call for anyone trying to force their way into a home. This means that aluminium security doors must be impact resistant, which they are. 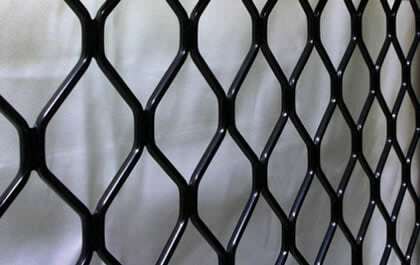 The doors combine high tensile strength, deeply penetrating welds and solid security screening. As a result, the force required to break down an aluminium security door is higher than the force a human can exert. This demonstrates the advantages of a well-designed aluminium security door. When you get a security door, you are within your rights to expect that it will last a long time. After all, you are attaching it to your home. But some metals last longer than others. Aluminium is one such metal. The most common issue afflicting metal security installations is corrosion. Ferrous metals such as iron and steel are especially prone to rust, which is their most prominent pitfall. Aluminium, on the other hand, is highly resistant to corrosion. Owing to its unique molecular properties, aluminium does not rust like many other metals. That is why you will often see it used in marine construction. As a result of this resistance, it will maintain its good looks for many years, with minimal maintenance. However, this has benefits that exceed looks alone. Rusty or corroded security installations not only look bad but are also compromised in strength. Badly corroded steel or iron is not as strong as metal that hasn’t corroded. This is one of the benefits of aluminium; it retains its strength for longer. By resisting rust and corrosion, aluminium will remain structurally sound for a very long time. As a result, you have to worry less about maintenance. It can be very easy to think of aluminium’s lightweight as being a disadvantage. But in reality, it is quite the opposite. As we have established, aluminium offers great strength despite its weight. This means that you can enjoy the benefits of lightweight security installations, without worrying about strength. One of the foremost benefits in this regard is longevity. If you look at some old iron or steel security doors or gates, you might observe that the hinges or tracks are a little worse for wear. This is caused by the weight of the door over time. If you have a heavy steel security door fitted with inadequate hinges, it will lose its strength over time. As they say, something can only be as strong as its weakest link. Because aluminium has far less weight than steel and iron, it places less pressure on other parts of the door, such as the hinges or tracks. This can be advantageous in the long run. Do you need aluminium security doors for your home or business? Contact the security experts at Vincent Security today on (07) 3849 4555.